A drunken woman who urinated in a police car and spat and swore at officers has narrowly avoided being sent to jail. Michelle Jordan (36) was “irate” when police arrived at her mother’s home following a disturbance. Appearing at Falkirk Sheriff Court last Thursday, Jordan, 16 Kenilworth Drive, Laurieston, had pleaded guilty to shouting and swearing, banging doors, screaming, refusing to desist and urinating in a police vehicle on July 25 in Carmuirs Avenue, Camelon and Kenilworth Drive, Laurieston. She had also previously admitted spitting on PCs Bryan Little and Maria Malcolm. The court heard Jordan’s mother had become upset with her intoxicated daughter’s behaviour and called police so she would be removed from her property. 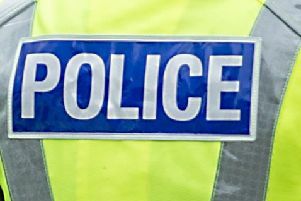 Procurator fiscal depute Samantha Brown said: “On entry, the police were approached aggressively by the accused who was clearly under the influence and she began shouting and swearing at the officers. However, during the journey Jordan again started abusing police, who then arrested her. Police back-up was called after Jordan had spat on the officers and she was taken to Falkirk Police Station. Her defence solicitor told Sheriff Derek Livingston that Jordan was “totally ashamed” and is not a regular offender. Sheriff Livingston informed Jordan she had escaped imprisonment as she has a limited record and looks after her 70-year-old mum. She was sentenced to 250 hours of community work to be completed in nine months, ordered to pay police £850 in compensation and placed under supervision for a year, as well as a five-month restriction of liberty order from 7pm until 4.15am daily.